Favorites for young men of all ages. Hi everyone! This will be my last post on this blog, so I just wanted to post a quick note to say thanks for all the positive feedback. I've decided to take a slightly different direction with these reviews, but I'll be leaving this site in place (for now, anyway) since so many people have found it helpful. If you're interested in keeping up with me and my writing, feel free to surf on over to my updated author website, www.jamesvachowski.com. I'll still be posting the occasional book review there as well, so let me know if you come across something that I just can't afford to miss. This project has been an absolute blast to work on...thanks again to everyone for all the support! Kyle Keeley and his family are obsessed with the board games of Luigi Lemoncello, a celebrity game designer and flamboyant billionaire. When Kyle’s hometown announces the construction of a new library after 12 long years, the buzz turns into a frenzy when it’s revealed that Mr. Lemoncello has funded and designed the new building! Kyle is among a handful of kids who’ve been hand-selected to receive the first library cards, and also to participate in an overnight lock-in adventure. They’re allowed to use only their wits and the library’s resources to solve a number of clues, and the first person who makes it out of the building will receive the grand prize! 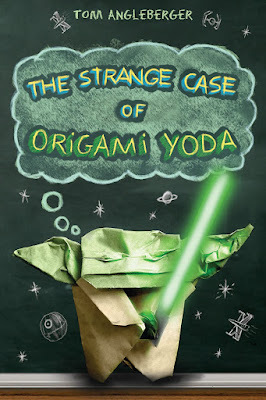 One of the great things about this particular book is the number of mysteries and puzzles included with the story. Heavy readers will be tickled to see some of their favorite books included as clues, although I’d be impressed with any kid who’s actually read all the referenced texts! What really makes this book, though, are the picture rebuses included as clues. Reading this book is like being part of a madcap treasure hunt, and that means that you’re instantly sucked into the plot. “Mr. 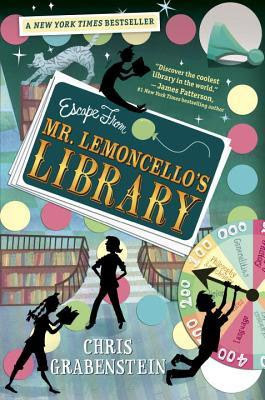 Lemoncello’s Library” and its sequel are a matching pair of fast-paced, exciting and most importantly, fun books which deserve a spot on every kid’s bookshelf. Joe Spud is the richest boy in the country. 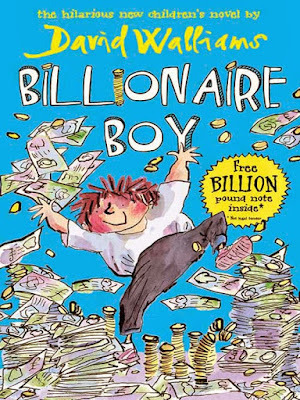 As the heir to his father’s multi-billion-dollar toilet paper empire, Joe has enough money to buy anything. He’s got a full-size race car, an orangutan butler and all the chocolate he can eat. In fact, you could probably say that Joe has everything… except for a friend. In an effort to break out of his depression, Joe convinces his father to let him transfer from his elite private academy to a public school where no one knows him. As he revels in his newfound anonymity, though, Joe learns that there’s no true way for him to run from his problems! This hilarious book was an extremely quick read, no doubt due to its awesome pen-and-ink illustrations and the epic number of lists incorporated into the story. The book is a great way to show that everyone has problems, even kids who seem like they’re doing well on the outside. I’d recommend this one as a particularly good choice for reluctant readers, but it’s also suitable for anyone in need of a good belly laugh! 2018 marks the fifth year that I’ve been keeping this blog as a side project, and I can’t believe that I never got around to adding the Harry Potter series to my list! My apologies to J.K. Rowling, as the slight was most definitely not intentional! Let me correct my oversight by introducing you to Harry Potter, a young orphan boy taken in by the Dursley family. On the approach of Harry’s eleventh birthday, he begins to experience strange powers that he can’t yet understand. Then one day, a mysterious visitor arrives to inform Harry that he’s actually a young wizard, and also that he’s due to begin school at a magical academy for witches and wizards! Hogwarts Academy is the escape that Harry has been dreaming of his entire life, and it’s a glorious experience…at least, until he learns about Voldemort, the evil wizard who killed his parents! This book is the first in a series of seven novels, all of which are rightfully considered to be modern classics. The continuity and backstory between the books runs amazingly deep, so it’s important to read them all through in sequence. 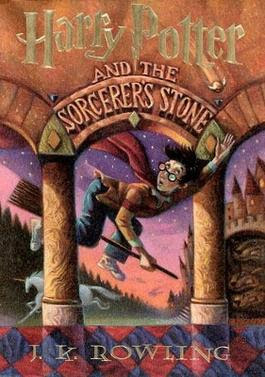 Some of the Harry Potter books can run quite long by middle grade standards, although it’s a safe bet that the awesome story will serve to pull young readers along through the pages. If by some unfortunate circumstance you haven’t yet read “Sorceror’s Stone”, you really have no one to blame but yourself! Otto Lidenbrock is a German professor who believes that there are several volcanic tubes spread across the Earth which lead directly to its core. Searching for irrefutable proof of his new theory, Otto takes his nephew Axel and their guide Hans deep into the caves beneath Snaefellsjokull, an active volcano in Iceland. There, much to their disbelief, the three explorers encounter a number of natural hazards and even some prehistoric creatures! Mr. Verne first published this book in 1864, and I think that one of the reasons behind its longevity is its outlandish plot. Of course it was written back in a golden age of science and exploration, when academics were making major leaps of progress in all fields of study. Most of Mr. Verne’s books have strong elements of science and discovery worked into the plot, and I wouldn’t hesitate to recommend any of them to readers of all ages. 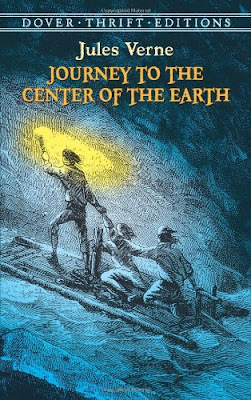 Upon reading “Journey to the Center of the Earth” for a second time, however, I found myself marveling at our modern levels of scientific progress. Could it be possible that today’s generation might have its own young Jules Verne among us, a budding author who’s already hard at work writing stories about genetic engineering or deep space exploration? 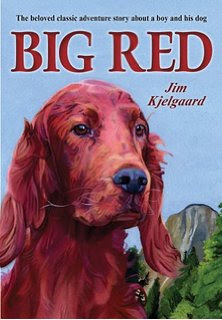 “Big Red” was a champion Irish Setter; from the moment Danny saw him, he knew Red would be his dog. Danny was just a lowly trapper, a boy who knew more about the ways of the woods than fancy kennels and dog shows. But when the two meet for the first time, they quickly become inseparable and Red’s owner entrusts him to Danny’s care. In the harsh wilderness that Danny calls home, Red proves to be a reliable, loyal companion…even when faced with a legendary enemy! Mr. Kjelgaard is the prolific author of more than forty novels for young men, and it seems as if I’ve done him a disservice by waiting so long to include him on this list. Although he was born over a hundred years ago and many of his books have now gone out of print, a good number are still available in retail shops today. “Big Red” was even made into a Disney movie, a sure sign of its powerful and moving story. These animal-focused books were some of my favorites growing up, so do yourself a favor and start searching for some of Mr. Kjelgarrd’s writing yourself!